Admittedly I have been a long time fan of Suunto products. Many years ago I saved up and purchased one of the original versions of the Core. When running found me, I transitioned to the T6, which, for quite a long time, was one of my favorite training tools. A couple of years ago with the introduction of the Ambit series I once again upgraded to the fancy new GPS training tool. After a couple of years of daily and abusive use my original Ambit was in need of replacement. Fortunately, this happened shortly after the release of the Ambit3. When it was time to get the watch I was faced with a difficult decision. The Ambit3 came in 3 flavors; The Peak, Sport and the Run. After some deliberation I opted for the fully featured Peak. I have been using the watch daily for about 5 months now and have found it to be a very powerful tool. For a while I have felt like writing a review about this watch would be helpful to those out there trying to decide if it is worth spending the money and why they should consider this particular watch. 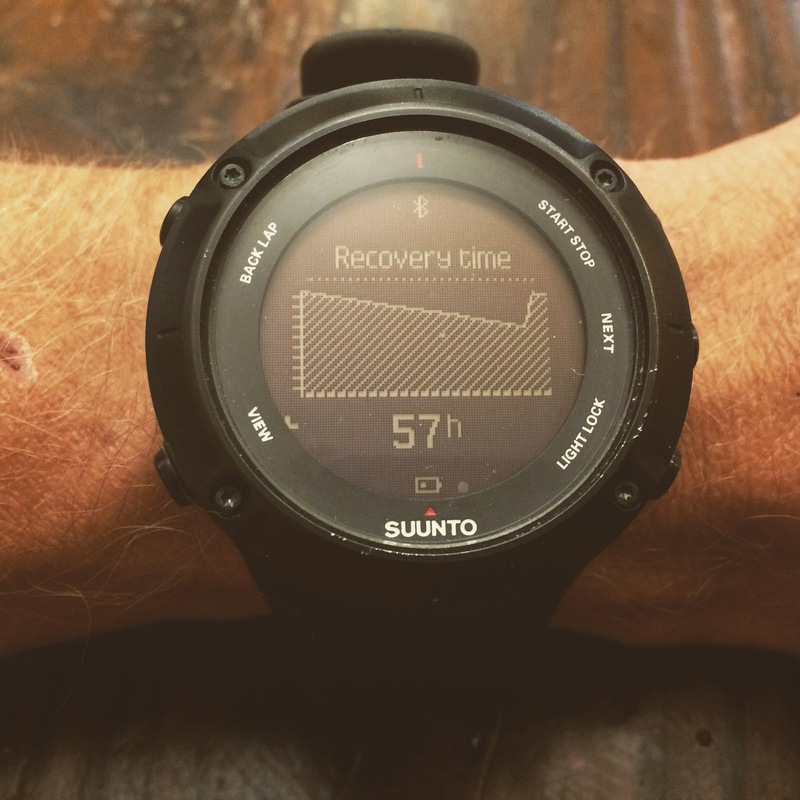 Suunto watches have long held onto a similar pattern of navigating through the menus and options. For someone new to Suunto this could be a bit of a challenge to first tackle. The watch has so many features and options that it frankly can be a bit confusing. Thankful with the Ambit series of watches it can easily be linked to the Movescount app and many adjustments can be made there (more on this later). I highly recommend watching the youtube videos that Suunto has produced to help with the initial setup. It helps speed up the process and helps simplify the learning curve of the watch itself. After initial setup there is not too much fiddling that has to be done with the watch. With the click of the start/stop button a menu leads to the exercise option. There you simply have to pick what sport or activity you are doing and hit “NEXT”. Heart monitors and accessory pods will pair, then a GPS signal will be acquired. I have used the Ambit in North America, Europe, South America and Asia and I have never had to wait more than 30-45 seconds to lock on to satellites. Depending on how you configure the watch the exercise menus offer nearly limitless options of what is displayed while you are running, skiing, climbing, walking, etc. Over time I find that nearly all of my activities end up showing similar data, and I find the continuity quite useful. After finishing exercise the push of “STOP”, then “LAP” leads you to saving (or not) the data, which you have the chance to review before returning to the standard four screens. This summer I have also relied heavily on my Ambit as a navigation tool. Before heading out to the mountains I can load a GPX file into Movescount and then sync that to the watch. While in any exercise mode you can enter into navigation. The watch then guides you along the pre-determined route and waypoints. This was essential to off-trail route finding in the Boulder White Clouds, the Gray’s River Range, and the High Sierra. Each time the route finding worked flawlessly. In a recent update, Suunto updated the firmware. This included a recovery feature. Using the chest strap either a quick test or sleep test can be performed to help monitor recovery in between training sessions. I firmly believe that most athletes don’t overtrain, they under-recover and this has already been very useful for me to be able to gauge my recovery status. It does require a handful of calibration tests, but once done it’s game on. In ultra’s there is always a concern for battery life. I have not ever run out of battery during a single adventure. The settings can be altered to prolong battery life, and with the settings optimized for battery life, which does slightly reduce the GPS accuracy, I went for over 50 hours and used less than 50% of the watches battery. This included using the watch for navigation. At it’s most accurate setting I have gone longer then 20 hours on a single charge, and had plenty of charge left! The Ambit3 Peak has a barometric pressure altimeter, that works very well. There are a handful of weather functions including temperature and a storm alarm; all useful when traveling in the backcountry. The watch uses Bluetooth for the chest strap and to pair to a smartphone. I was curious about how useful this would be, and have found that I really love not having to physically connect my watch to update settings, or to download training data. You can also enable notifications, so that if you get texts, emails, etc., it will appear on the watch. I find this very distracting and leave it disabled most of the time. There is a really cool workout function in the iPhone app that allows you to quickly build an interval workout and then sync to the watch.  This has been very helpful in taking training to the next level and it is really simple to use. The only complaint I have about the watch is the size. It is a big watch, and on my scrawny runner arms it seems even bigger. I realize that there is a ton of technology crammed into as small of a space as possible, and that the size is the price to be paid. I do wear my Ambit all the time, and after a while you do get used to it. The other editions of the Ambit3 have similar features, but the sport and Run do offer less than the Peak. Recently I added a Ambit3 Run to my quiver and found that I really do like the lighter and slightly smaller watch while running. It lacks multi-sport so I can’t track my bike commute, or skiing, but it still works very well. The battery life is also quite a lot shorter lived than the Peak. So if you are in the market for a GPS watch, that lasts for a long time, is a great training tool, navigates flawlessly and works for multiple sports, I highly recommend the Ambit3 Peak. Full disclosure, I do have a sponsorship agreement with Suunto, but before that opportunity came along I fully endorsed the Suunto products. Just like all of the companies I work with, this is the product I feel is the best. I haven’t, and currently do not endorse any product that I don’t stand behind 100%. I would feel confident that, after testing these against any other on the market, you will feel the same. If you have any questions about the Ambit3 please submit a comment and I will do my best to answer them.